SKU: #24. Category: Western eBooks. The Hunt For The Mountain Man © 2016 by Raymond Cook. In the fall of 1900, facing starvation, 400 Shoshone, Sioux and Paiute Indians attacked the town of Marble, Colorado and nearby ranches. They sought to drive out the settlers and take back their lands. When the battle was over, the town burned for days and hundreds of men, women and children were killed. When news of the attack got back to Fort Collins that the Indians had also killed 240 soldiers, 80 railroad workers, Colonel Brooks notified Washington. Governor Charles S. Thomas also requested immediate help from President William McKinley. President McKinley decided that with it being almost winter that nothing could be done until spring. Settlers were evacuated to nearby towns. President McKinley ordered Colonel Brooks to relocate his soldiers to Marble and establish a 400 man permanent fort there come spring. After the fort is built, settlers and businesses slowly return to Marble. Governor Charles S. Thomas and other dignitaries travel by train to Marble on September 1st, 1900 to commemorate the opening of the fort and railroad station linking Redstone to Marble. Providing protection for the governor and other dignitaries were four U. S. deputy marshals. But four mountain men hiding in the distance plan to kill the governor. A fur trapper named, ‘Wolf Killer’ would fire the fatal shot. The men were concealed near an alley within view of the train platform. As Wolf Killer fired what he thought would be a head shot to the governor, deputy marshal David Colby inadvertently moved. The bullet meant for the governor, killed David instead. As everyone lay down on the platform, all hell broke loose. The four mountain men then open fired on soldiers and bystanders, trying to kill as many people as they could. Then they fled up Schofield Pass to a remote trading post. A bloody shoot-out at the trading post leaves all but one mountain man dead. The dying man told a deputy marshal the four men they came for fled to a trappers lodge on Twin Sisters Mountain. When word of the attack on the governor and the death of deputy marshal Colby reached Denver, U. S. Marshal Robert Sampson wanted the mountain men captured and held for trial or killed. He assigns a deputy marshal to hunt the killers down. But in order to track down the mountain men, deputy marshal William Gracey must first locate a band of Indians near Marble and make a deal with them. The lawman needs an Indian scout who can help him find the trappers lodge on Twin Sisters Mountain where the mountain men fled. The train carrying the governor had five passenger cars and a caboose. The mood was festive at least for the dignitaries. Linking the two towns meant better commerce and more settlers coming to Gunnison County. On board the train were six deputy marshals. They were personally selected by the U. S. marshal himself. They knew they couldn’t stop someone from shooting at the train and looked nervously out windows on both sides of the train. No one near the train station was on a horse. Everyone was on foot. The nearest horses were 200 yards from the platform. It couldn’t have been planned better for the mountain men to kill the governor, shoot as many people as they could and flee back up the mountain with no one pursuing them. Of the four mountain men out to kill the governor, one was the meanest, toughest and most cold hearted. His name was ‘Wolf Killer.’ He earned that name when he was jumped by a full grown timber wolf as he was bent over taking a dead fox out of a snare. The man broke the wolf’s neck without even breaking a sweat. He was an expert shot with both a Winchester rifle and a Marlin 45-70 rifle. All four men specialized in long distance shots. They were just as impatient to see the governor as men were down below. The mayor and Sheriff Stein stood underneath the Denver and Rio Grande Railroad sign on the train platform looking up and down the street. Someone from the railroad brought a used sign which didn’t look as nice as the freshly painted building but it would have to do. Mayor Cross hoped the governor and the other important people accompanying the governor wouldn’t look up and notice. As all four men looked down the main street they didn’t see a single man, woman or child on foot or on a horse. Sure enough, everyone in town turned out to welcome the governor to Marble. Everyone that is, except for Bryant. He wasn’t able to walk yet and even if he could’ve been able to walk, he wouldn’t be able to walk very far before his back would hurt him enough that he needed to lie back down. As he lay on the padded table used as his bed he wondered how many people had arrived to see the governor. Doctor Morrison had promised to bring him back a plate with beef, potato salad and a cup of punch. When the crowd of well-wishers heard the approaching train blow its whistle five times they knew the train was minutes away. The fort blocked everyone’s view of the train though. No one would see the engine of the train until it was 300 yards from the train station. Excitement filled the air. Children were begging their parents to pick them up so they could see too. Everyone could hear the train coming before they saw the train as it roll past the walls of the fort. Wide red, white and blue ribbons were tied to the front of the engine. Meanwhile at the other end of town four men were anxious to get a good look at the governor too. But they were staying hidden until they saw everyone on board get off the train. Then they’d wait ten minutes before they rode slowly down the middle of the street. Every lawman was on pins and needles the moment the train came to a stop. A deputy marshal from each passenger car got off the train before anyone was allowed to step down on the platform. Then they shook hands with the other four deputy marshals. Suddenly the governor stepped out to the end of a passenger car and waved to the crowd. Hundreds of people began to yell and wave their hats over their heads in excitement. Slowly everyone got off the train and headed for the long platform filled with chairs. That was what Wolf Killer and his friends were waiting for. They waited ten more minutes before they went to their horses, untied the reins, got on their horses and slowly rode out of the brush. When they reached the road they headed downhill until they reached level ground. They didn’t even see a dog run across the road ahead of them. They passed Doctor Sellen’s office where Bryant lay but he wasn’t facing the front window. He didn’t even hear the sounds of horses passing by. 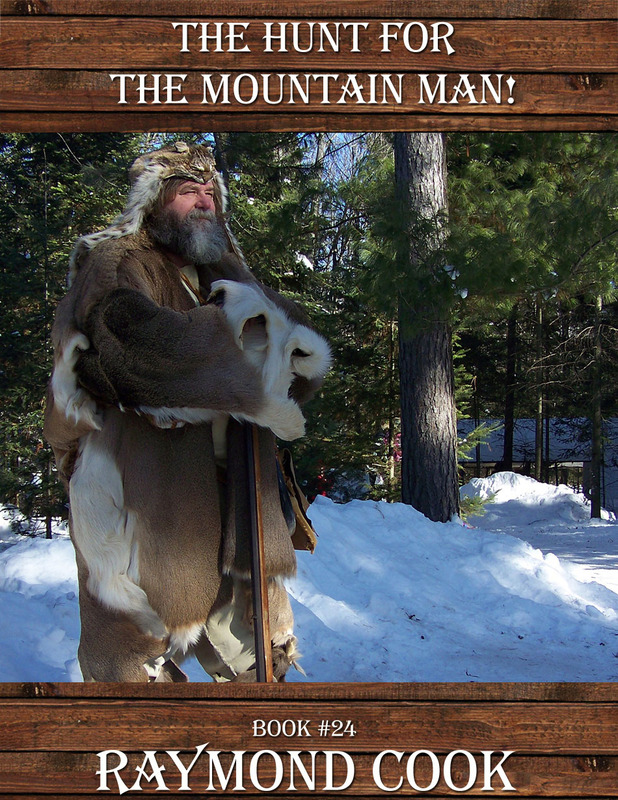 Two of the mountain men looked at each side of the street for anyone on foot who was wearing a gun. As the other two men looked up ahead they were getting closer and closer to the train station. Finally they stopped in the middle of the street. Finally thirty dignitaries from Denver were seated on chairs behind the governor. He was standing at the podium Parson Morrison had brought over from the church. Next to him was Mayor Cross, a representative from the Denver and Rio Grande Railroad and two U. S. deputy marshals with shotguns. Below them were twelve soldiers holding carbines behind the rope barrier. Every other lawman was spread out in a circle to help keep the crowd back. Their eyes were looking at each person for any signs of anger. But as they looked from face to face all they saw were smiles. The mayor finally held up his hands and waved them back and forth to get everyone’s attention. When the people quieted down the mayor spoke first. “Welcome to Marble friends. Last year hundreds of people lost their lives defending this town, themselves and their friends and neighbors. Before you now stands a new town. A number of families returned and reclaimed their ranches where they have kin buried. Some of the town’s previous business owners returned too. But for the most part, this town is filled with newcomers who have the same hopes and dreams you have. Colonel Jefferson is the commanding officer of Fort Warren and we have him and his soldiers to thank for bringing Marble back to life. Now I’d like to introduce to everyone the man we’ve all been anxiously waiting to arrive. Governor Charles S. Thomas, will you step up to the podium?” Mayor Cross asked. When the governor stood beside the mayor they both shook hands. Then the mayor went over to a chair and sat down. The governor placed both of his hands on the podium. “Friends, I want to thank everyone from Marble for turning out to commemorate the Marble Train Station and all the benefits the Denver and Rio Grande Railroad will bring to this community. I also want to thank the many men and their families for traveling near and far to be a part of the prosperity to come. The train I rode to Marble on can carry 250 passengers. To put that number into perspective, that means one train can carry forty times the number of people on a stage. Not only that, but freight can be shipped as well as horses and cattle. The days of cattle and horse rustling and highwaymen robbing passengers on a stage of their money are dwindling friends. Now you’ll be able to ride in comfort, stay dry during rainy weather and have something to eat along the way,” Governor Thomas said. Immediately a loud roar of excitement was heard from the audience. The mood was festive as the governor reached over with his hand and picked up a glass of water. At the exact moment Wolf Killer took aim at the governor’s head and pulled the trigger, deputy marshal David Colby moved one step forward. The bullet meant for the governor’s head struck the deputy’s head instead. Blood sprayed everywhere as the lawmen jumped off the platform. As panic and screams ensued, the deputy marshal on the other side of the governor pulled him to the floor. It was chaos. None of the fifteen lawmen and dozen soldiers knew who fired the shot or from which direction. Then the worst was yet to come. All four mountain men opened fire on hundreds of men, women and children. The first to be shot were soldiers and lawmen near the platform. Then the mountain men picked their next victims at random. In less than thirty seconds over thirty men, women and children were dead or lying on the ground wounded. Bryant heard the gunfire. As painful as it was for him to get off the table and make it to his gun belt, he reached the front door and opened it. 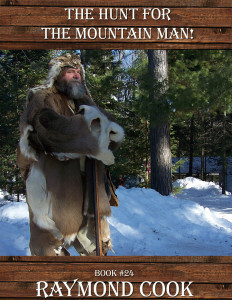 He would’ve killed at least one of the mountain men had he been able to raise his pistol and aim. But one of the mountain men saw him first and shot him. He fell to the ground dead. Then the mountain men turned their horses around and rode at a gallop for Schofield Pass. By now people were running in all directions. No one inside the fort had their horses saddled. By the time the dead and wounded people were taken away there was room for the soldiers who had saddled their horses to leave the fort. The four deputy marshals from town saddled their horses too. Doctor Sellen found Bryant dead in the doorway of his office as other men helped the wounded down to his office. Two dozen soldiers and four deputy marshals headed up Schofield pass to catch up to the mountain men. The Hunt For The Mountain Man is my newest 2016 action-packed western frontier eBook. This eBook was uploaded onto Amazon on March 11, 2016. I’ve made this comment section so I can share with visitors to my website what readers feel about this particular eBook. To share your comments too, just go back up to the top of the page and click on the Contact Me tab.